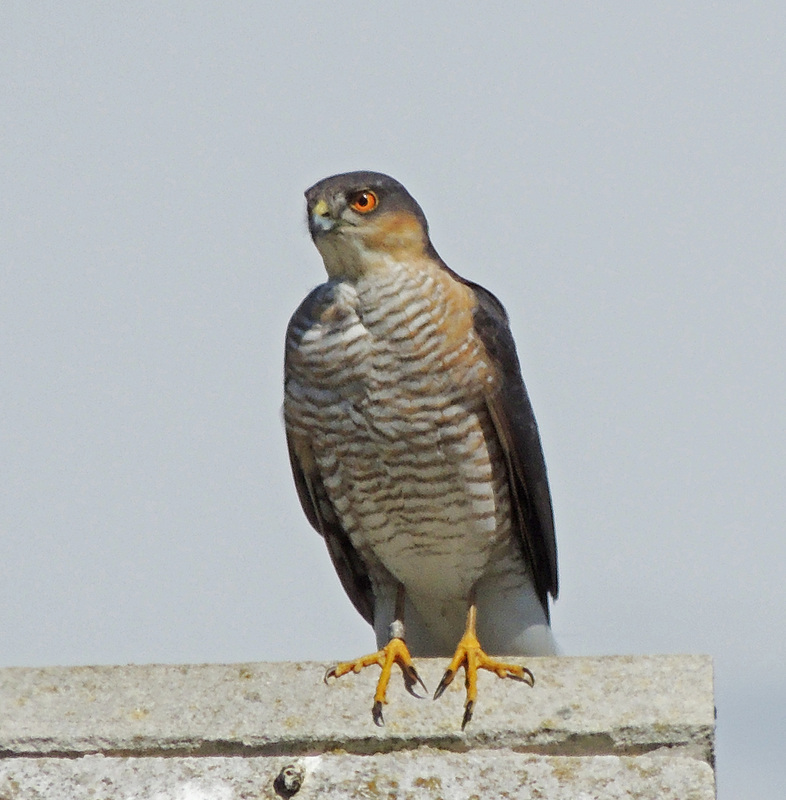 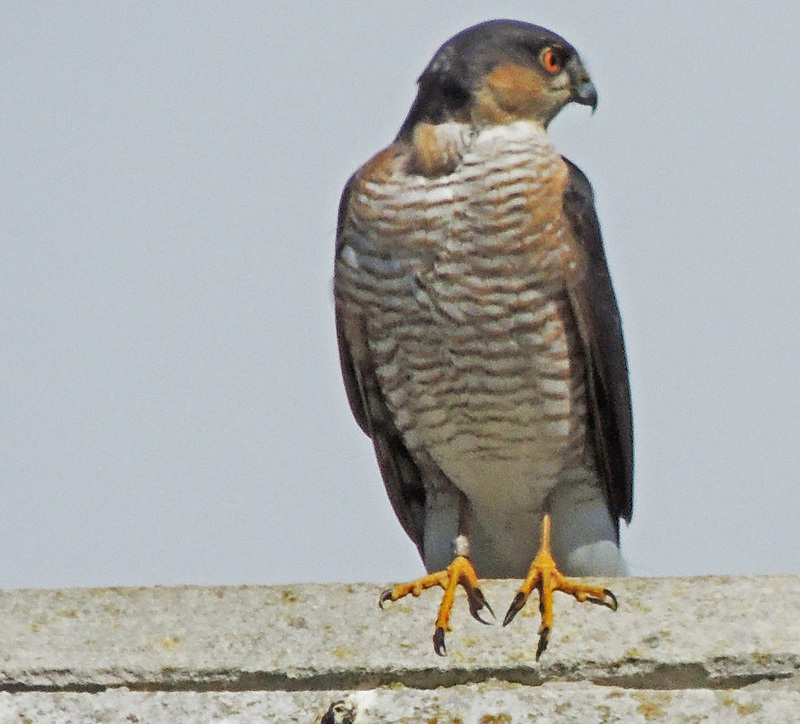 The Sparrowhawk is probably now the commonest bird of prey in the UK replacing the Kestrel which seems to have declined significantly over the past decade. 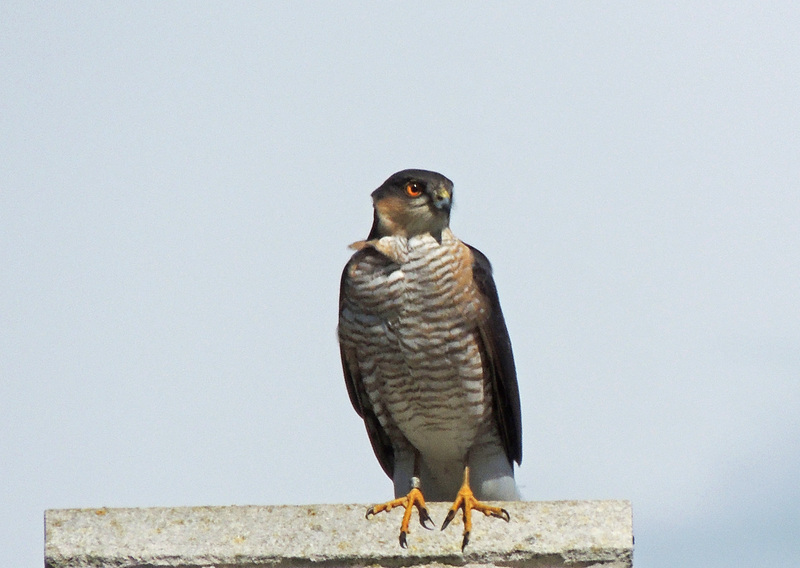 Even so it is most often seen in flight, often soaring to a great height. 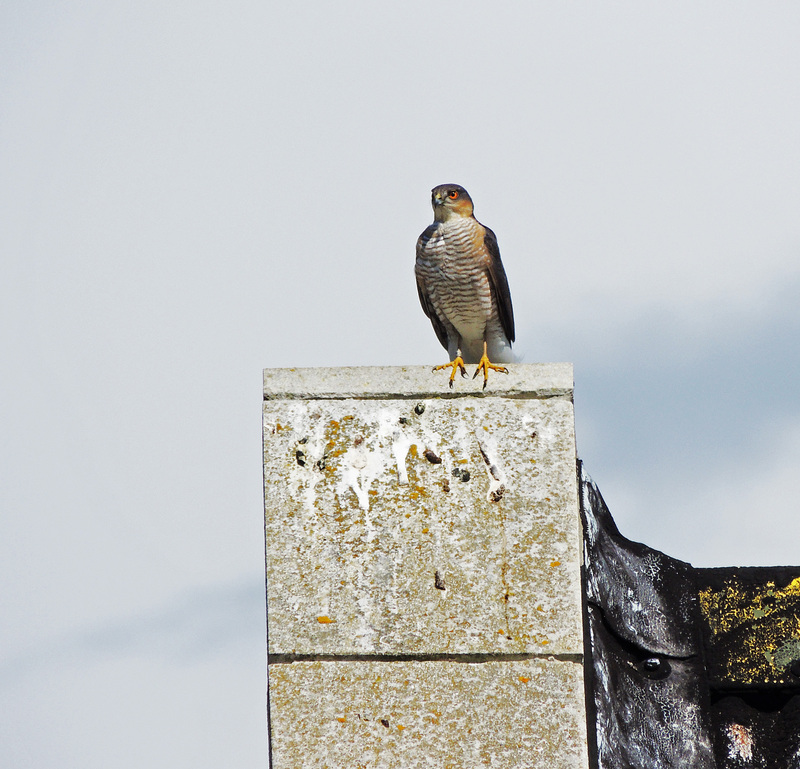 so, it was really pleasing on the recent trip to Dorset to get a chance to photograph a bird perched on a deserted building on Portland.